I'm so excited to share my new release with you today! 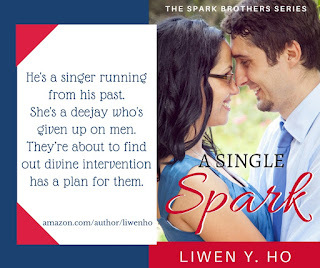 This book, A Single Spark, also kicks off my brand new series called The Spark Brothers. Through these books, you'll get an inside look at the lives and loves of five brothers: Aiden, Brandon, Colin, Darren and Evan Spark. Book one focuses on big brother, Aiden, and his nemesis/love interest, Abby Dearan. Former boy band hottie, Aiden Spark, distanced himself from everything he valued—faith, family, and fame—when he lost his girlfriend. A decade later, he’s still hiding behind his grief when he accidentally texts a woman who’s all too curious about his identity. This story has a little bit of frenemy attraction, mistaken identities, and lots of divine intervention. Throw in some sparks (pun intended! ), and you've got yourself a sweet and fun romance. This new release is only 99¢ for a limited time. 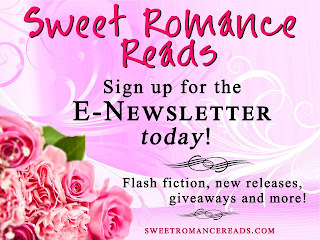 I hope you'll pick up your Kindle copy HERE today! Fun new romance that I'm looking forward to reading, Liwen. Thanks! Thanks, Josie! I had fun writing it! 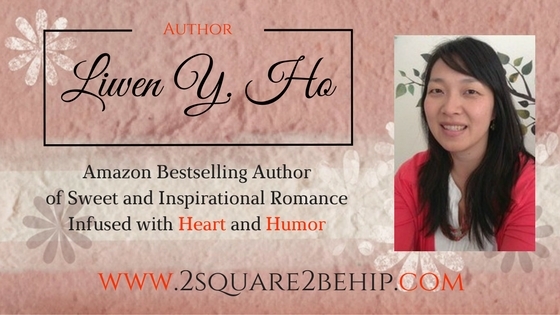 The series sound amazing, Liwen. Thanks for sharing. Thanks for sharing, Liwen, another good book to read. It sounds like a fun story with lots of sparks!